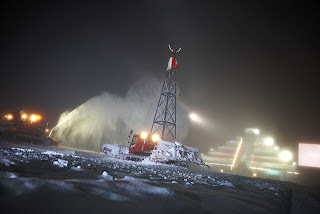 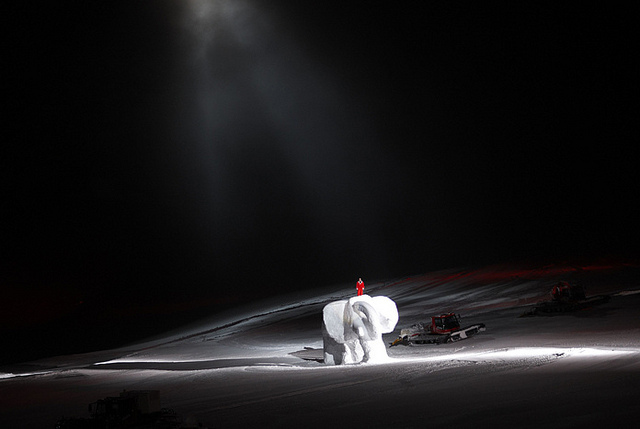 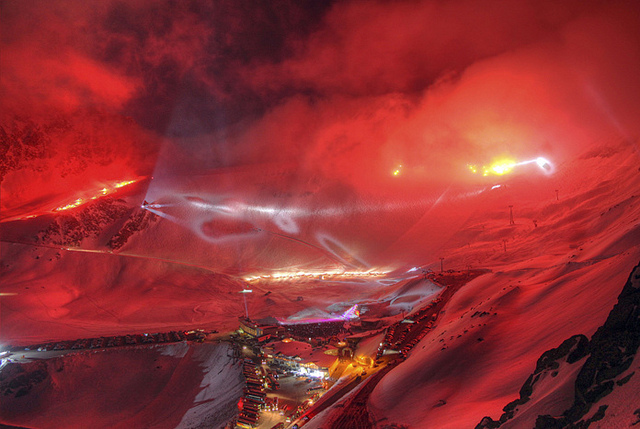 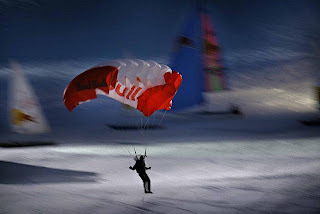 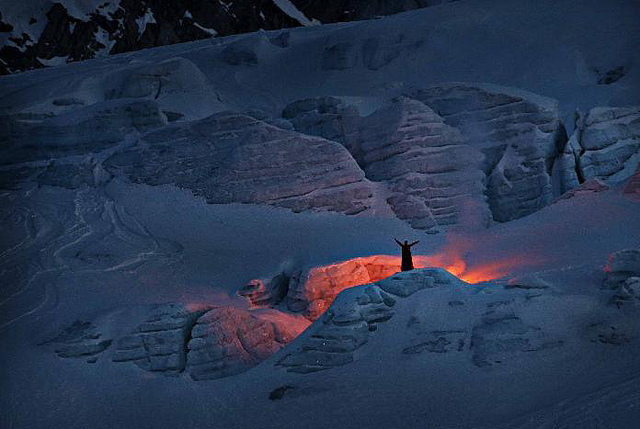 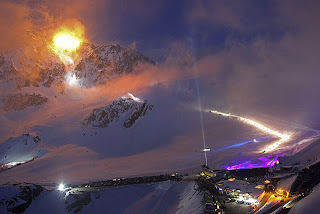 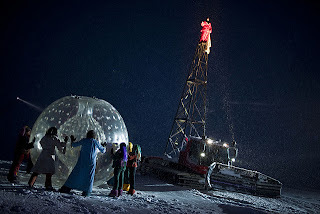 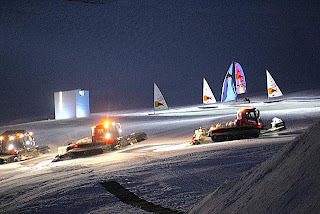 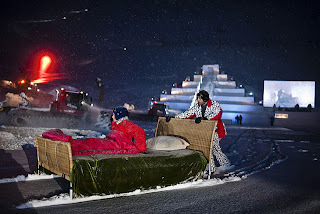 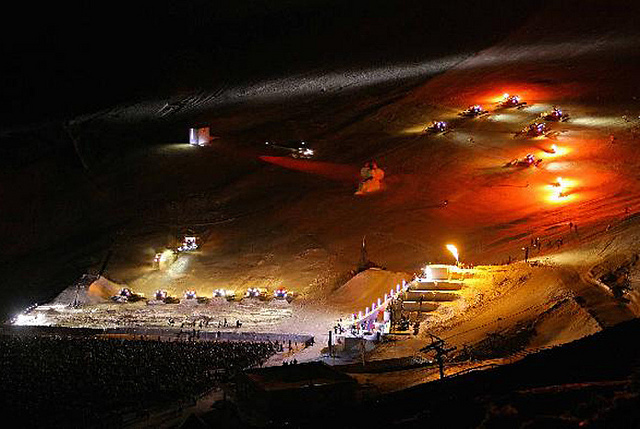 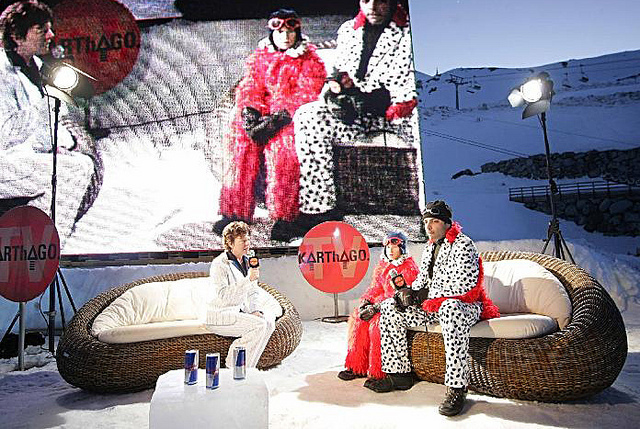 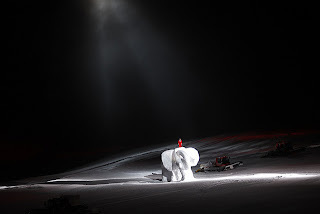 If you find yourself in Sölden, Austria this April 12, 2013, for heaven's sake, see the stupendous theatrical extravaganza "Hannibal" which takes place on a staggeringly large outdoor stage made of the Alps and snow. 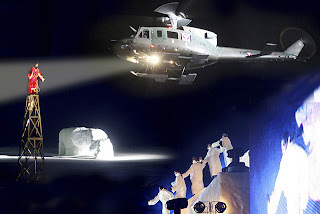 The stylized, conceptual show memorializes Carthaginian military commander Hannibal's crossing of the Alps in 218 B.C.E. 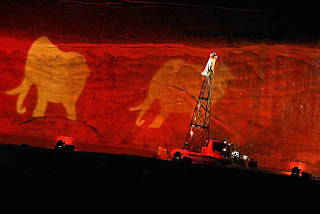 along with 38,000 infantrymen, 8,000 cavalry, and 37 elephants. 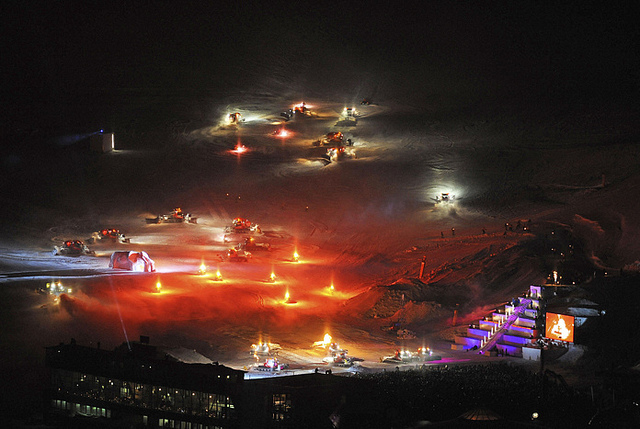 This modern breathtaking spectacle, performed nearly 3,000 feet above sea level, reenacts the crossing with more than 500 actors, dancers, acrobatic skiers as warriors, snow grooming machines standing in for war elephants, base jumpers, helicopters, artificial avalanches, explosions, state of the art projection and lighting effects, and fireworks.